The excitement surrounding Jurgen Klopp's arrival at Liverpool shows no sign of slowing down. The German manager will take charge of his first home game on Thursday night and the Reds have taken inspiration from Barack Obama for their programme cover. 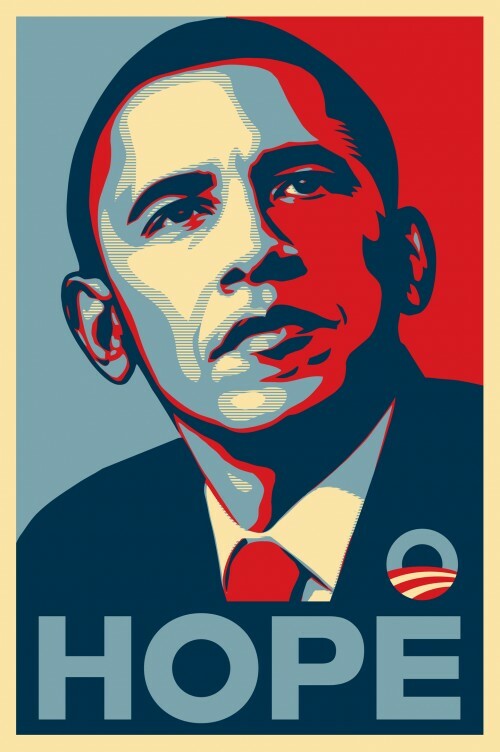 The famous 'HOPE' poster from Obama's first presidential election campaign is the influence behind the club's front cover for the game against Rubin Kazan. Having drawn his first game in charge of the Merseyside club - a 0-0 draw with Tottenham Hotspur - the expectation is high ahead of his home bow. The German has certainly brought hope back to Liverpool and it is hard to remember an appointment that has ever caused such hysteria. Thursday will offer Klopp his first chance to experience the Kop in full flight and he will be hoping to top it off with a win. The Reds have started their Europa League campaign slowly with two draws, but still sit second in Group B. While the Premier League will be their primary concern this season, Europe's secondary competition is not be scoffed at. Champions League qualification is of the highest priority to Liverpool fans and the Europa League offers an alternative route to qualification. With all their players fit, the Reds have a squad capable of winning the competition and Klopp will be keen to get his hands on some silverware in his first season as manager. The Reds currently have six first-team players out of contention, but should still possess enough quality to overcome their Russian opposition. Will Jurgen Klopp take Liverpool into the Champions League next season? Have your say in the comments section below!